It’s not a completely clean bill of health, though. Those overproduced albums of the 1980s and early 1990s always sound syrupy, but can sound almost edgy here. James Taylor’s ‘That’s Why I’m Here’ from the album of the same name [Columbia] is a perfect example, as it’s all Yamaha DX7 synths backing an over-ripened James Taylor vocal. This particular recording might have been one of the progenitors of MP3, but the full 16/44 CD recording can easily show any brightness to the sound or spitchiness to the vocals, and both were displayed here. In truth, the vocal ‘spitch’ sound was minimal, and as much a function of the recording itself, but even with the treble set at -3dB, it never quite tamed that slight zing to the top end. I tried not to let the price get in the way of the review, but it’s here the price becomes an issue, in a good way. 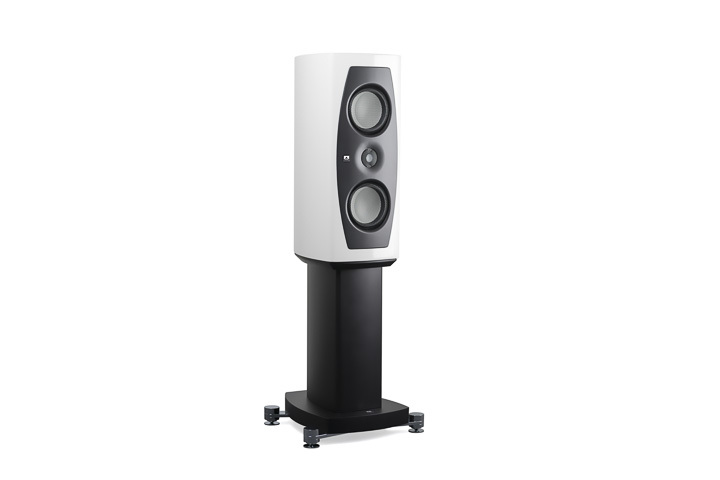 That zing would be unacceptable in many of those classic high-end designs that also sport Accutons, but here it’s just a function of a good middle-priced loudspeaker trying to make a well-balanced sound. It’s also the kind of zing that is only really noticeable if you have logged lots of hours with the more upmarket competition. Many will never notice.